thanks for the confidence boost. i'm going to apply anyway and focus on everything i have control over - getting the best possible grades in my prerequisites and scoring as high as I can on the TEAS. i also plan on attending an informational session this summer so i can get more info. lastly, do you happen to know if there is a 'shelf life' on the prereqs? i.e. - 7 years? 5 years? If so does it apply to all the prerequisites or just the sciences? thanks again! Looking for feedback from those in the program. Interested in applying but worry about my points allocation in the scoring matrix (not a csu grad and currently not living the county districts) Also - does anyone happen to know what the "shelf life" is on prerequisites? Are they all required to be completed within a certain time limit? Thanks! Congrats to those accepted! Do any of you have info on job placement rate post graduation? Are any Ohlone grads offered positions from their clinical sites? Gift for Preceptor and unit? I second donuts and coffee! Did you end up applying to Montana's ABSN? It's also a program I've been looking at, but like you haven't been able to find much info. Thanks! @BreV Did you ever apply to the program? Hi SN2751, I've been debating between several different programs - ABSN, BSN and also Masters Entry. 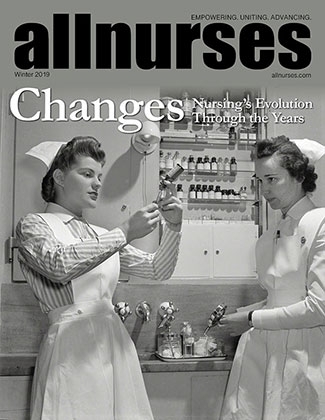 Are you able to share why you decided to do the traditional BSN over the ABSN? The thought crosses my mind on a daily basis, so any input/advice would be greatly appreciated! Feel free to reply to this thread or DM me. Thanks again. I'm currently struggling with the same dilemma. I have a Bachelors in Business but am debating between several different programs - ADN, BSN, ABSN and MENP. I've been getting frustrated because there are so many factors when trying to decide what school to apply - between tuition, TEAS v. HESI v GRE and the prerequisites required to apply - which can vary greatly. At first I was leaning towards an ADN since it seemed to be the "smartest" based on cost and prerequisites required, but after talking to several nursing friends here in California they ALL recommend getting a Bachelors or higher. They said most hospitals in this area require BSNs. Bumping this forum. Also looking for feedback from any students in the Davis MEPN. I'm currently looking into several programs trying to debating between an ABSN/MEPN. Any feedback would be greatly appreciated! Hello All. I'm looking for some feedback on applying to the ABSN program at CSU Stan. I hope you can help. CSU Stan is by far my first choice, but I worry the admission cards are stacked against me. I am not a graduate of a CSU school system (My undergrad is currently from out of state.) Also, I'm currently not living in one of schools county districts. If I was lucky enough to get in, I planned on driving the long commute or relocating closer to the area. I've just stared my prerequisites, so obviously I have a long ways to go. Do you recommend that I still apply, or should I set my sights on other ABSN programs? Thank you!